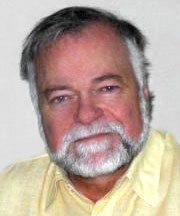 Bob's counselling inspiration encompasses much more than just his professional training. It is what he has learned from each of his clients and his own real life experiences that provide him with his real motivation for counselling. Together, he will assist you in identifying strategies for managing those situations for which you seek assistance. Each counselling need is unique. Bob will work with you to reveal underlying causes of those behaviour patterns that are posing challenges in your life. His ability to empathize, to challenge without threatening and to reach the client at the actual point where they are, not necessarily where they say they are, are the underlying reasons for his success as a counsellor.